We recently asked members to help us choose our next AGM charity partner. There was a fantastic response to our AGM charity poll with more than 600 members and supporters selecting their preferred charity. Tree planting and protection charity, Trees for Cities received the most votes, closely followed by CentrePoint and Friends of the Earth. 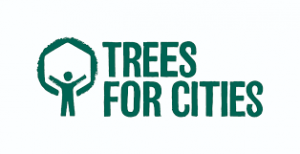 Trees for Cities is the only charity working on an international scale to plant urban trees and create greener cities. Every year we make a charitable donation when members vote in our AGM. We donate 50p for every AGM vote cast online and 20p for every vote cast on paper. In 2018 we donated £500 to Practical Action as a result of AGM voting.The results of the poll will be incorporated into our plans for our 2019 AGM, which takes place on Saturday 27 April 2019. Ecology colleagues and directors nominated the short list of six environmental and housing (or homelessness) charities. 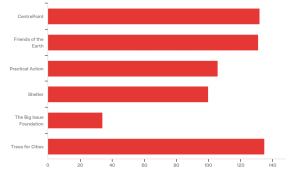 Members then chose their preferred charity from this list in our charity poll. Each of the short listed charities was aligned to our mission to build a greener society – supporting positive environmental or social outcomes.